LAREDO – After intense speculation among Pokémon Go players about when and where it would finally happen, it has been officially confirmed that the first legendary pokémon, Articuno, was captured today at an Olive Garden restaurant in south Texas. The dual ice/flying type, which can be found only in the icy caves beneath the Seafoam Islands in the Generation I games, appeared unexpectedly at the Italian-themed casual dining restaurant chain known for its family-oriented advertising and unlimited menu items. The duo report that they have been playing the game consistently since it was released and “getting out a bit more than usual” as a result, traveling as far as San Antonio one weekend to play the game. 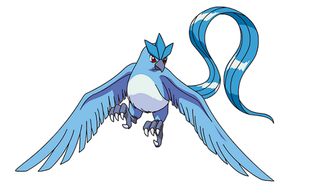 While Foss’s find represents the first confirmed capture of Articuno, it remains unclear at this time whether others may be found in the game. So far, the other two legendary birds remain elusive worldwide.